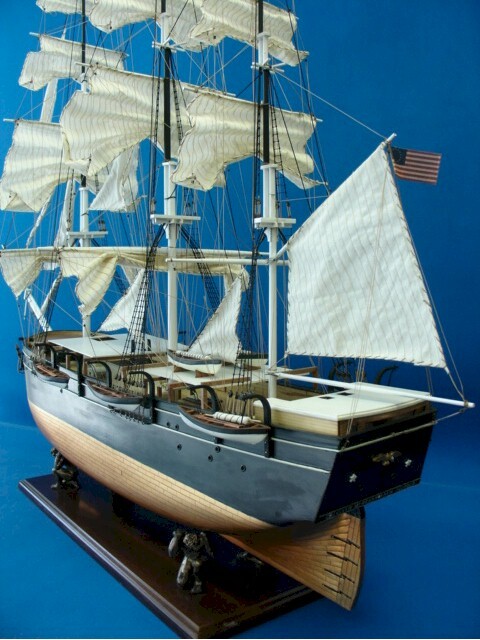 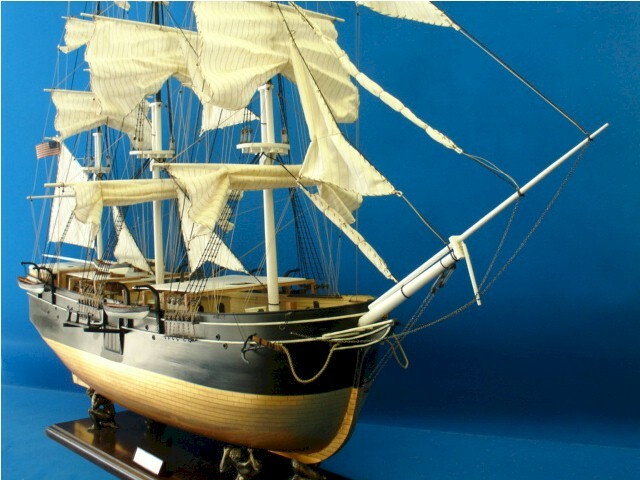 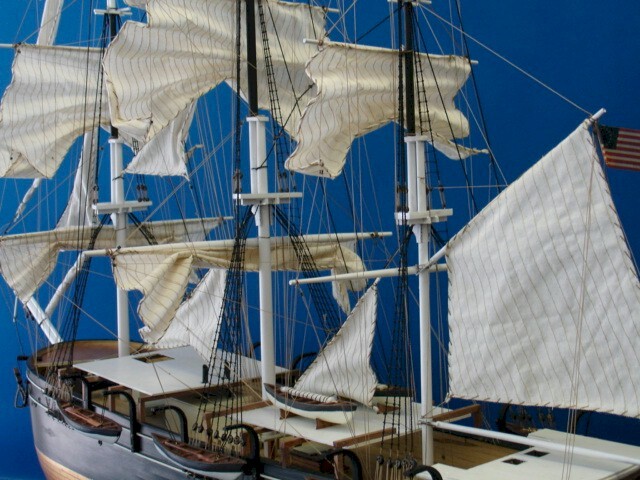 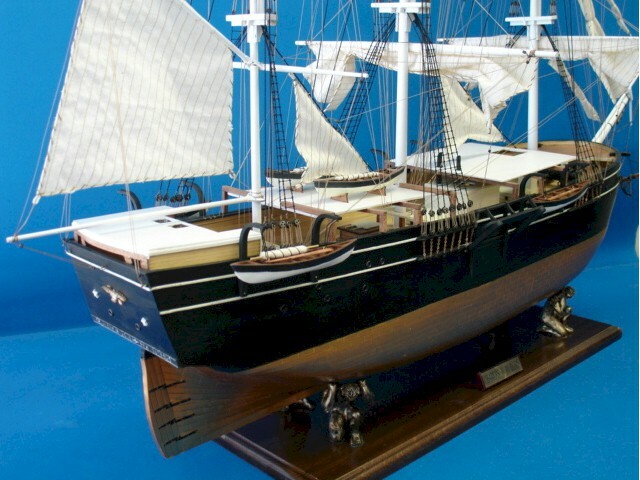 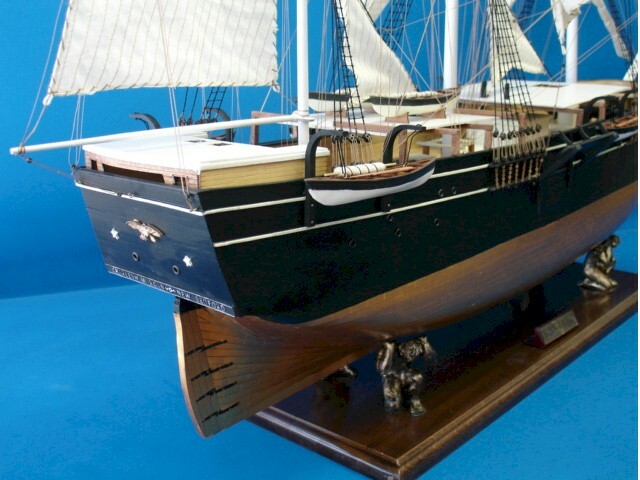 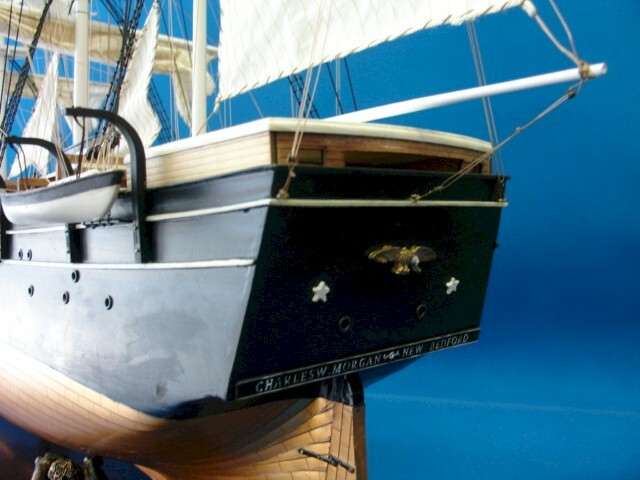 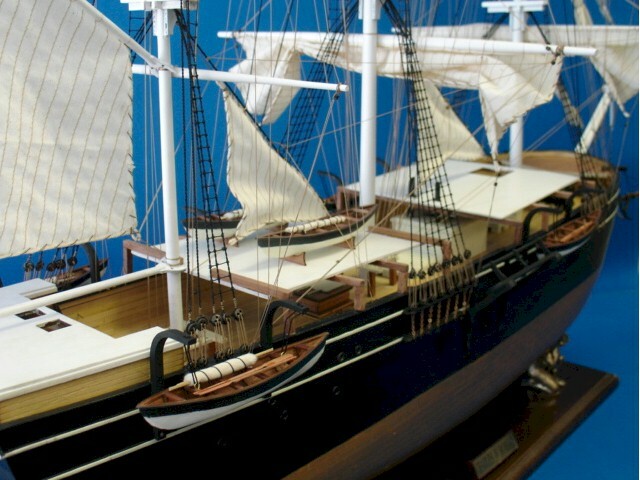 This is an exquisite 1:60 scale model of the Charles Morgan, with details including bound masts, yards with stun's'l booms and foot ropes, carved full sails running and standing rigging with carved scale blocks, dolphin-striker, safety nets, carved fiddle-end prow with coat-of-arms, anchor with chains and hawse pipes, catheads, bitts, stove pipe, sail winch, belaying rails and pins, companionway, helm and tiller, ship's bell and other details, pressed stern and quarter gallery decoration boarding companionway. 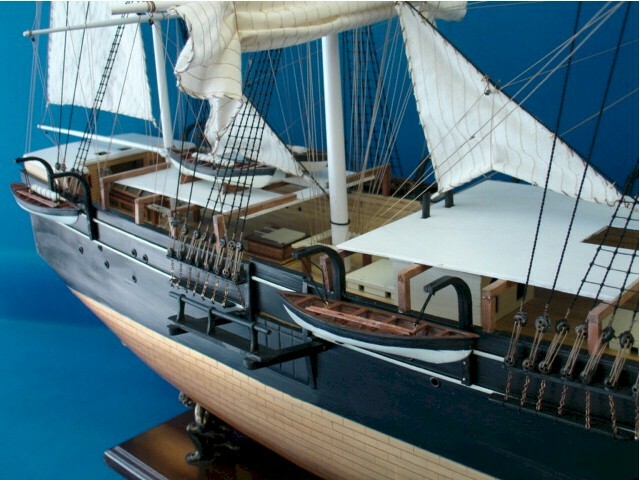 The Charles W. Morgan arrived at Mystic Seaport in December of 1941, narrowly avoiding destruction during WWII. 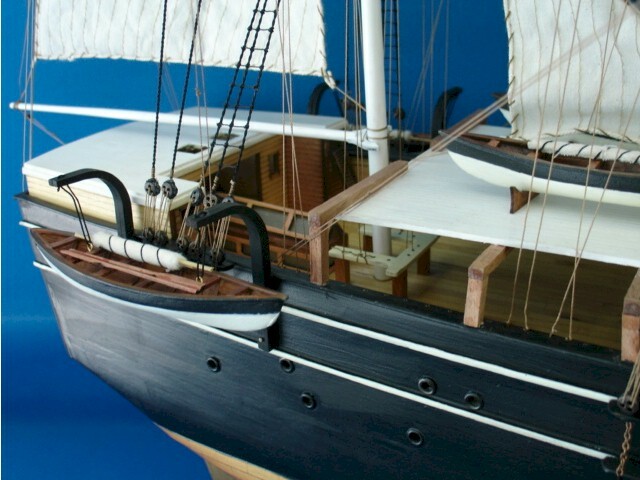 A major restoration and preservation project was begun in 1968. 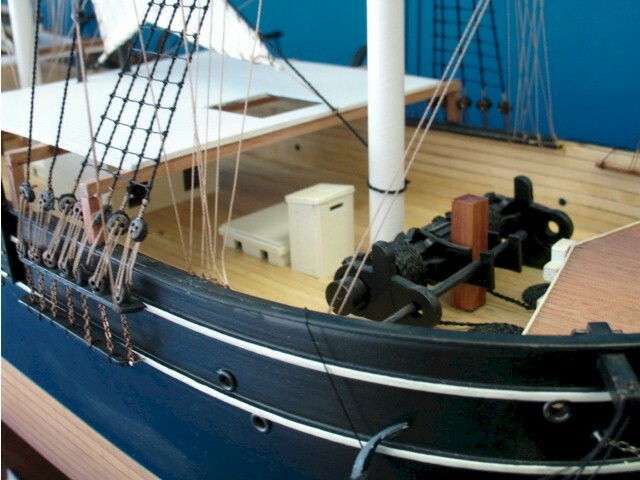 In 1977 Morgan was designated a National Historic Landmark. 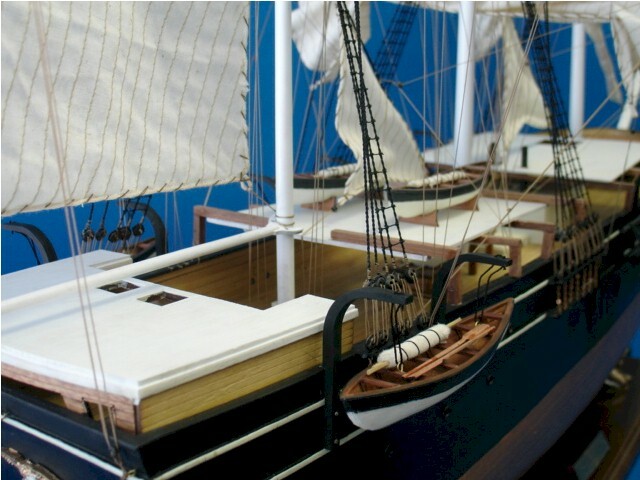 Mystic Seaport is completing a multi-million dollar shipyard upgrade to accommodate the next phase of Morgan's restoration. 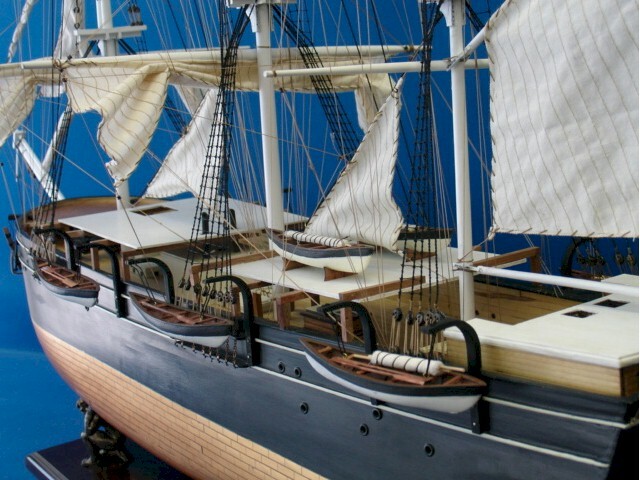 She is the oldest whaler and commercial vessel surviving in America.